The Black Barcode: Trend Alert: Accessories That Pop! Trend Alert: Accessories That Pop! The neon trend has come and gone many time. It started back in the 80's and is now back in full swing! 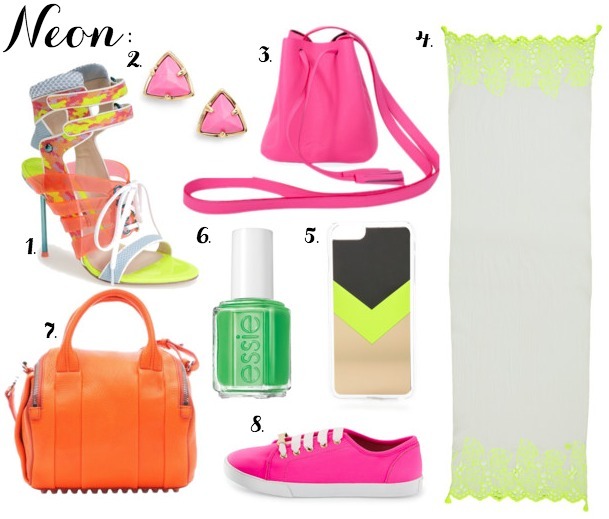 This season neon can been found on everything and everywhere. I prefer to wear it making a statement in my accessories! Here are a couple of my top picks! What do you think about this neon trend?